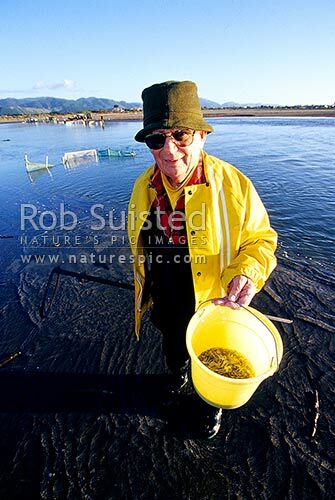 Whitebait fisherman with bucket of bait (native galaxid Inanga species Galaxis maculatus etc). Waikanae Estuary. Whitebait fishing, Waikanae, Kapiti Coast District, Wellington Region, New Zealand (NZ), stock photo.